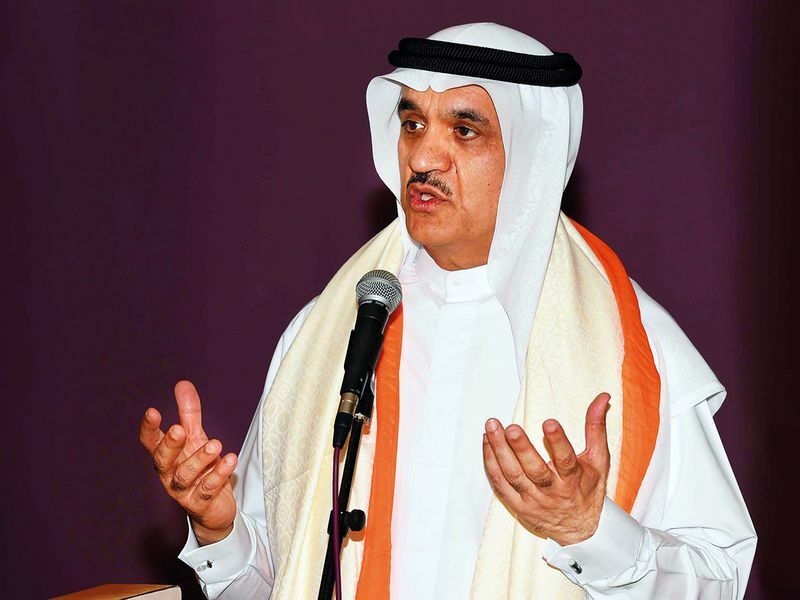 The Gurudwara in Dubai’s Jebel Ali, which has been hosting an interfaith iftar during every Ramadan in the past six years, will offer iftar meals to workers in the area everyday during this year’s Ramadan, chairman Surender Singh Kandhari told Gulf News. He said the free vegetarian meal (langar) offered to every visitor in the Gurudwara irrespective of their background, will be offered to those visiting to break the fast also. “We will add dates, fruits, rose milk, buttermilk, and some Indian snacks like pakora, samosa etc also for them. We expect to host 100 to 200 believers every day during Ramadan,” said Kandhari. “This year is very important for us here in the UAE. It is the Year of Tolerance for the UAE, 550th Year of Guru Nanak’s birth anniversary, 150th year of Mahatma Gandhi’s birth anniversary, 320th year of the birth of Khalsa Panth, and 100th year of the Jallianwala Bagh massacre which happened on a Baisakhi. Keeping all these in mind, we celebrated Baisakhi to send across the message of love, peace, humanity and tolerance,” said Kandhari. Ahmed Abdul Karim Julfar, director general of the CDA, appreciated what the Sikh community has done for Dubai especially in spreading the message of tolerance. “This is one way of coming together to see something that really helps in sending the message of tolerance to other communities,” he said, while congratulating the Sikhs on Baisakhi. Dr. Omar Al Muthanna, CEO, Regulatory and Licensing Sector at CDA and Sanjeev Kumar, consul (consular and community affairs) at the Indian Consulate in Dubai also appreciated the efforts of the Gurudwara and Kandhari in promoting communal harmony. Tens of thousands of Sikhs visited the Gurudwara to celebrate Baisakhi on Sunday and over the weekend. Kandhari said the Gurudwara offered langar to around 50,000 visitors on Friday. “Several thousands of them were believers of other faiths,” he said. Hundreds including families, bachelors and tourists visited the Gurudwara on Sunday. They were seen offering prayers and having langar. Kulwant Kaur Kohli, a grandmother in a wheelchair, was accompanied by her granddaughter and great granddaughter. “My father has been here for 21 years. I was raised in London. But I have been living here for three years. My grandma came over from India four years back. 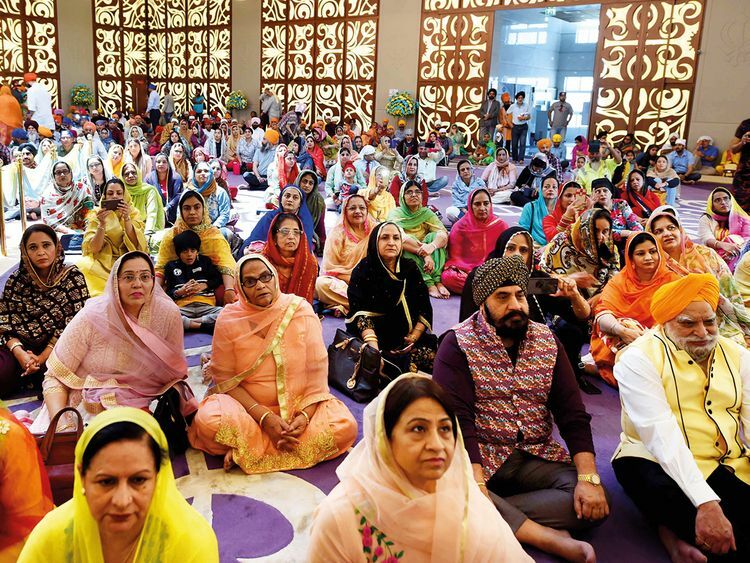 We always come to the Gurudwara on special occasions, especially Baisakhi,” said Kaur’s granddaughter Samika Kohli who works in the oil and gas field. The family of Balraj Singh, an electrical engineer from the UK was among the tourists who visited the Gurudwara. “We are very happy to visit Gurudwara in Dubai. It is a great experience. We are not missing the festival because of the Gurudwara here. It is also nice to see our people here,” said Singh’s wife Navdeep Kaur. Bachelors like Gurwinder Singh, and Gurpreet Singh, drivers in the Jebel Ali port and Iqbal Singh, a bus driver from Dubai Marina, said Baisakhi is the main occasion for them to visit the Sikh temple. “We are happy to see our community members here. But we miss our family members back home on such special days,” said Gurwinder.